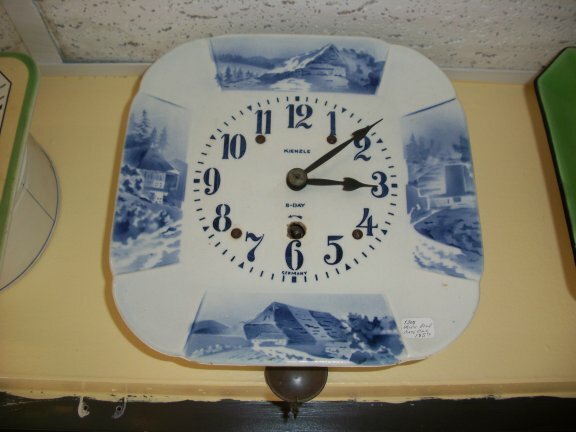 This is a porcelain plate clock made by the Kienzle clock company in Germany. It has an 8 day pendulum movement. This is another version of the Dutch scene and the delph blue color, there were several designs and shapes of the plates used through the years.